Huawei has surpassed Apple to become the second largest smartphone company in the world. That’s according to a new report from market research firm Counterpoint, and it said the Chinese company achieved the feat consistently for the month of June and July. The first spot was retained by Samsung. 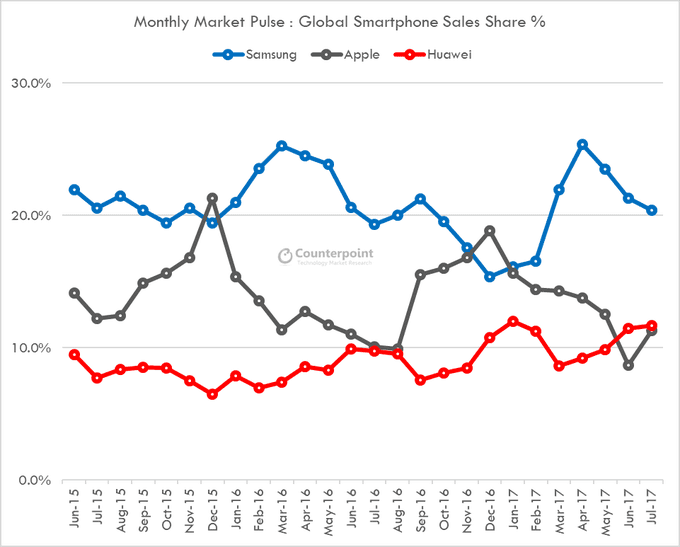 The report also says that August sales for Huawei are looking strong as well, so it won’t be a surprise if the company completes a hat-trick and maintains good sale in September also. The report also revealed the best selling models in the month of July. 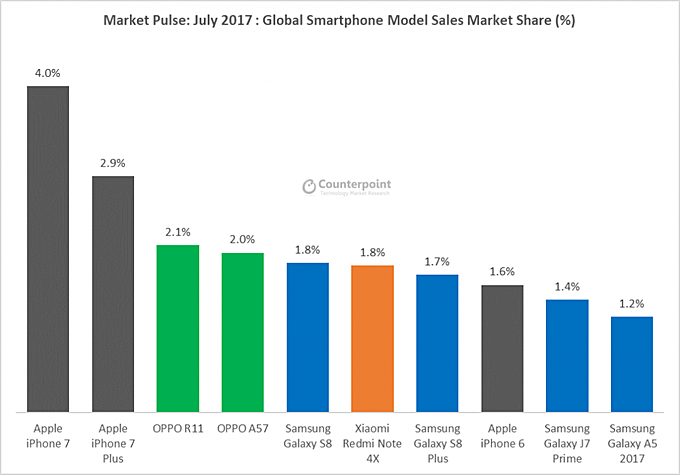 While the iPhone 7 and 7 Plus captured the first two spots, Oppo’s R11 and A57 came in third and fourth. Other devices that made it to the list include the Galaxy S8, Xiaomi Redmi Note 4X and Samsung Galaxy S8+. “While Huawei climbed to be the world’s second largest brand overall, it is surprising to see none of its models breaking into the top ten rankings,” the report said.